The summer is a great time for road trips and, in honor of National Aquarium Month, this article takes a look at some of America’s finest places to get up close and personal with your favorite sea creatures. Whether you like the big grin of an orca or the whimsy of a green sea turtle, America has quite a collection from the east coast to the west. • Distinctions: It’s the first inland aquarium with a permanent saltwater fish collection; The 3-million-gallon Oceanarium is the largest indoor marine mammal facility in the world; It’s also one of the oldest aquariums, opened in 1929. 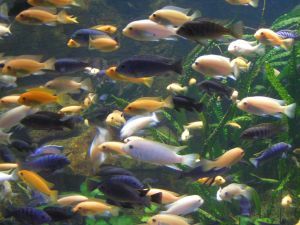 • Distinctions: The aquarium is often listed as one of the top tourist attractions in the state.